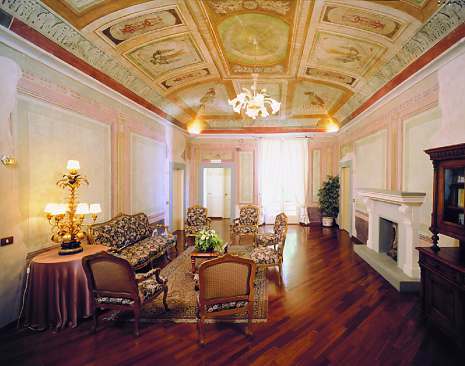 Right in the old town centre of Perugia, close to Corso Vannucci and the city’s most fashionable bars and shops, the Hotel Fortuna is in a converted palazzo that dates back to 1200. 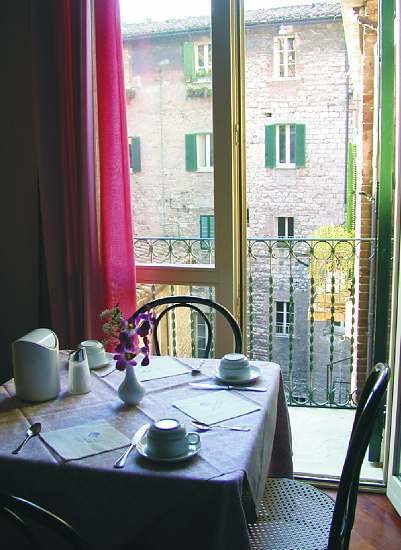 Careful restoration works carried out on the building have resulted in a total of 52 rooms, many of which command fine views over Perugia. 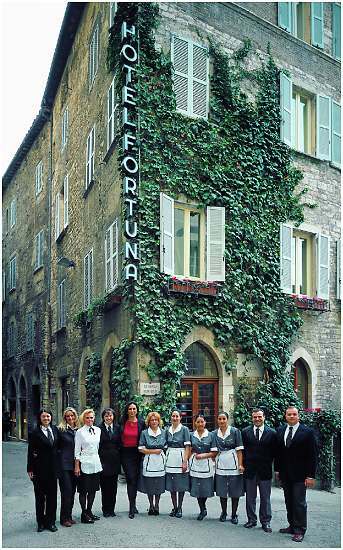 The Hotel Fortuna offers the highest levels of comfort and is ideally situated to fully enjoy all that Perugia has to offer. 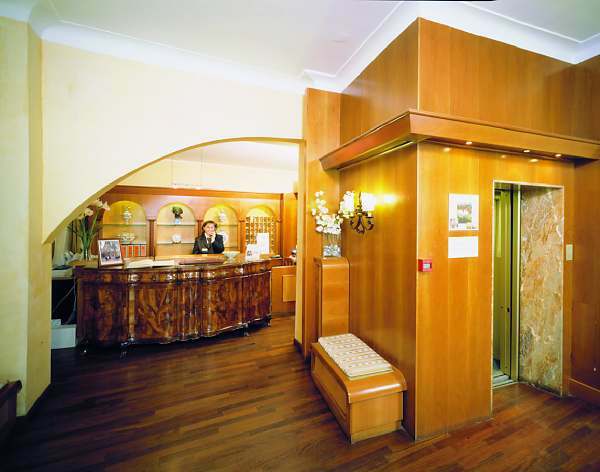 The hotel staff is fully informed about everything happening in Perugia and will be only too happy to satisfy the curiosity of guests in search of cultural events and things to see. 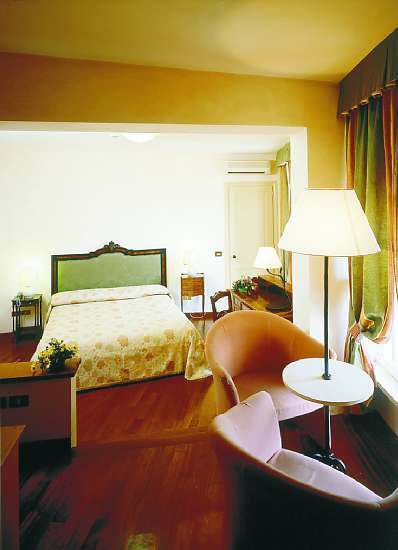 Elegantly furnished, all rooms are equipped with air conditioning, satellite television, minibar, safe, telephone, private bathroom with shower and hairdryer. 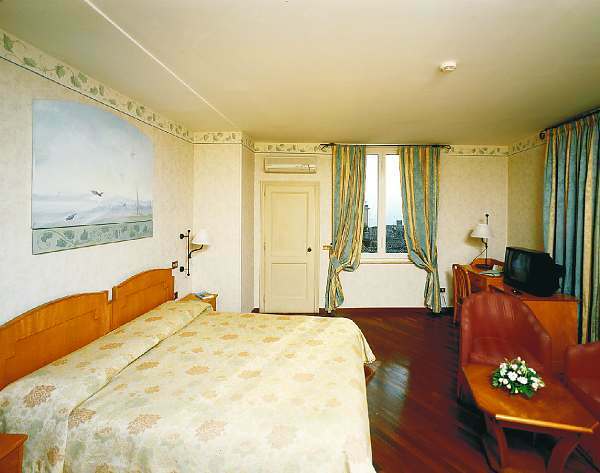 The Executive Rooms are larger and equipped with Jacuzzi or sauna shower booth, frescoed walls and/or private balcony. Supplements: Children under the age of 2 can sleep free of charge in bed with their parents. Cot € 13.00/night. Small or medium sized pets are accepted at a supplement of € 11.00/16.00 per day.